Did you ever wake up in the morning with a plan for your day and find out that the day was not going to go anything at all like you had planned? That was my day today. I woke up planning to work on a vacation package for a customer but when I turned on my computer I saw a little yellow triangle flashing annoyingly in my face “lost connection”….”lost connection”…”lost connection” upon further investigation I discovered that our internet service was down and was going to be down for several hours. What else can I do since work is not in the picture? Facebook games? Tweet? Nope did I forget I have no internet today? What did I do before internet? Clean my messy house? Yuk! Maybe I could work in the yard? Considering that it is about 20 degrees out there I think not! I guess could read a book? Maybe call a friend? Or Exercise? Dear HughesNet, would you please not have any system outages? I have a serious internet dependency here and I need my internet fix! 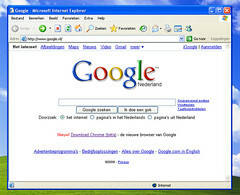 Wow I can not believe that I used to live without internet! Actually I didn’t even get my first computer until 1998. What an exciting day that was… that is until I got the thing home. I spent about two days pulling out my hair as I tried to get all the components hooked up and then once it was put together I remember I just sat at my desk looking at it and thinking “now what am I going to do with this”? (Though I did have visions of all my recipes being organized neatly inside of that thing somewhere someday). The Windows thing totally confused me. I would have tons of windows open and all piled up on top of each other all the while thinking that they were lost. Until eventually I would have so many open that they would clog up the computer causing it to freeze up telling me I had made some sort of error….ya I had made an error alright! I was a complete computer dummy! 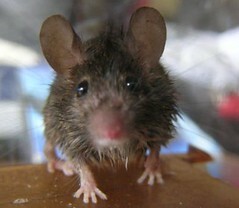 I didn’t even know how to run the mouse, my only experience with a mouse was a little brown furry animal that I knew I never wanted in my house much less on top of my desk! Right click, left click, what did that mean?!? One day I had out my handy dandy operator’s manual trying to figure that crazy thing out when my son who was about 6 or 7 years old walked up and showed me how it all worked. He was able to explain it to me in terms I understood! I remember thinking I may have myself a computer genius on my hands! Actually all 3 of my kids understood that computer way better than I did! 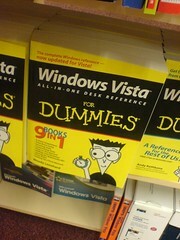 The biggest break though came one day I was in a store and a bright yellow book with the title “Windows for Dummies” Caught my eye. One day a best friend of mine moved to another state shortly after that I discovered chatting online. My kids again came to my rescue by showing me how to chat with her. I remember being amazed and so excited that I could talk to someone in another state via computer. I really had no idea at that time of my life how that would come into play later in my life and that one day I would chat with people from all over the world! or even a cell phone. We did not have smart phones and what was an app? My first cell phone was a giant phone the size of a brick and it only made phone calls! Some of my friends had phones so big they came with their own bag the size of a brief case. I only had 150 minutes a month of talk time and I did not have email or facebook, and a tweet was something a bird did. Since you are here today reading my blog I am sure you see that I did finally get the whole computer/internet thing figured out. I have electronic techy stuff all over my house and think I may have become a computer geek. I love tinkering around with website building. I also love the fact that I can talk to anyone anywhere in the world online and have made new friends online. Online I can find just about any kind of information I need to find, it’s all right here at my fingertips until a day like today when its broken. Today I realized something though, I got a panicky feeling because the internet was down and did not quite know what to do with my time. It made me realize that maybe all this technology is not as wonderful as it seems. Do I rely on it to much? Could I live without internet? Could I live without my cell phone? What would it be like to go to the store and have everyone wait until I got home to talk to me? What if I did not have email and had to wait on regular mail? Though I know I do enjoy my connections with new friends online and internet does make my job a whole lot easier, there was also a time in my life that life did seem much more easier. There used to be a time when I went to the grocery store and it was just me. Nobody could call me, text me or email me and life seemed a lot more peaceful. I realized today that I had lived like that most of my life minus the past 15 years and I never missed it back then. Why do I miss it now? Most of you know that on this blog I usually write about God and today I have not mention him yet. I did not have God in my life 15 years ago back in the days when I did not have internet and a cell phone. It was not because he wasn’t always there but because I never let Him in. Thankfully I do have Him in my life now. I also see that I could have a lot more God time if I shut off my phone and my computer more. With those things turned off there is more time to study the Bible or just sit quietly with Him feeling his presence with no interruptions. I am not slamming technology because with out it we would not be able to spread his word to people in places we used to not be able to reach. I also know that when I came to him 3 years ago I got a lot of my information from the internet and also from friends I met on the online. I even found my church from googling churches in my area. I know technology is a good thing I just can not let it rule my life. I always have a connection to God because His connection is never down. If I want to call him he will always answer. I also think maybe some of the stuff that was meant to make our lives easier has really made them harder by blocking precious time with Him. Email, text messages or phone calls from people can wait. Time with God really should not wait. Call on Him today. Romans 10:13 for, “Everyone who calls on the name of the Lord will be saved. It’s good to break away and disconnect. The Internet being down can be a great thing. So much to think and do without the worldwide web! Yes nothing beats the sound of someone’s voice. I love that way better than the texting. Thank you for reading and your kind words, Bless you too! I have never bought a computer of my own. They all have been handed down second hand. My first computer was a PC laptop it worked poorly I use it to go from my long hand journals to it, that was Aug. 2011. Later I was encouraged to start a blog of Apr. 2012 that laptop just died. My next computer is this old eMac again it is second hand what a great improvement! There is so much I do not know how to do, like links, add pictures, I have done it by accident once or twice but cannot figure out how to do again. I have a ton of awards to respond to but just do not know how YET! My dream is to buy a new iMac with the one on one teaching package I have found the Macs are easier to use for me. It is great to be a senior, I have some pictures from 1955 I want to turn into a post it may look like the dark ages to this new younger world! Yes this technology is a great tool, yet it can so easily become an idol many of the young people have been swept away into this Babylon. Great post! Great eye opener! God Bless, Amen.